Beginning Monday, expect changing traffic patterns and delays at Jefferson St. and W. Main St. as construction crews continue to move west. W. Main St. will be closed to thru traffic between Jefferson and Rivermoor. Please use the DOT posted detour. 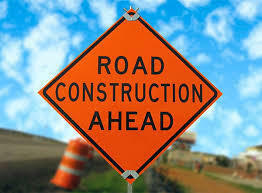 Plan on this period of construction to continue for the next month at minimum. Thank you for your cooperation as the crews continue to work diligently to complete the project as quickly and safely as possible.